Personally, Monk had a reputation as the ultimate hipster, with his goatee, skullcap and bamboo-rimmed sunglasses. He often left his keyboard to dance while onstage and, at random moments, on the street or in public spaces, would twirl for several minutes. Viewed by some as temperamental and eccentric, he is described by his biographer Robin Kelley as essentially rebellious. Kelley documented that Monk suffered from bipolar disorder most of his adult life. 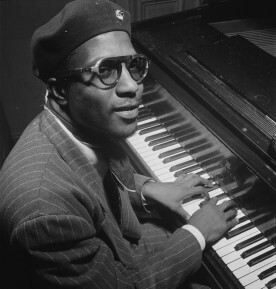 In 1972, Monk withdrew from public appearances and was hospitalized intermittently until his death. Among his last extended stands was a week at the Frog and Nightgown in Raleigh’s Cameron Village in 1970. A park in his hometown has carried his name since 2000.